Singapore Airlines will scrap some of it's Airbus A380s as no one wants to buy them. Singapore Airlines has made the decision to effectively destroy some of it's older Airbus A380's after they were unable to find a buyer for them. 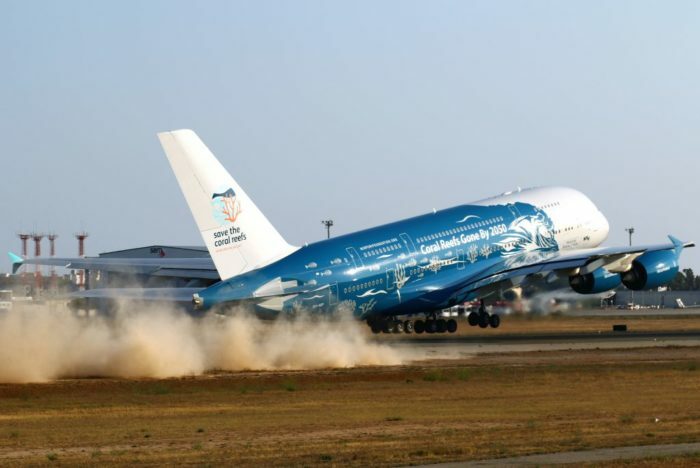 The airline was the first ever customer to take delivery of the aircraft, and was the operator of the first passenger A380 flight on 25th October 2007, however it has recently been trying to get rid of some of their older models by placing them up for sale. However, they were only able to sell one. Portuguese airline HiFly announced that it would purchase all of the aircraft Singapore had placed up for sale, however seems to have cancelled most of their orders and only taken delivery of a single one. As no one else can be found to purchase the abandoned planes, Singapore Airlines has announced it will remove them from the market and destroy them for their spare parts, which they can use on other planes. Singapore's decision is just another example of the sad death of the world's largest passenger aircraft. When it was first announced in 2005, airlines raved about it and several of the world's top airlines placed orders for them. Dubai-based Emirates ordered almost 200 of them. However, the aircraft's reign has been short-lived due to airlines opting for more fuel-efficient planes, such as the Boeing 787 and Airbus A350. There have been several rumors of Airbus potentially killing the whole project, and refusing to build any more new Airbus A380's. Whilst this may not be strictly true, it's recently been scrambling to find new customers for the doomed jet. Earlier this year, Virgin Atlantic cancelled it's orders for 4 Airbus A380's, and Air France and British Airways have ruled out purchasing new models of the plane. Airbus has tried to breathe new life into the project by introducing a more fuel-efficient version, named the Airbus A380plus, however they are still trying to find customers for this. Many airlines are saying the aircraft is too big, and it's 4 engines waste a large amount of fuel, making it difficult for them to turn a profit. It seems only time will tell whether the Airbus A380 can make it. have you ever flown on an a380 before? what do you think? boeings are better for manual flying and Airbus are good for those who only want the Auto pilot to fly it majority of the way.